A man found a tiny animal in a cardboard box that was stuck in his truck. He thought it was a skunk at first until he realized that it was a fragile little kitten clinging to life. A few weeks ago, Michael Cabrera, a driver of Waste Management in California, was finishing up his shift when he spotted a box in his truck. "I was performing the end of a shift safety inspection on my truck, when I noticed a cardboard box stuck in the grate of my truck's compactor plate," Michael said. 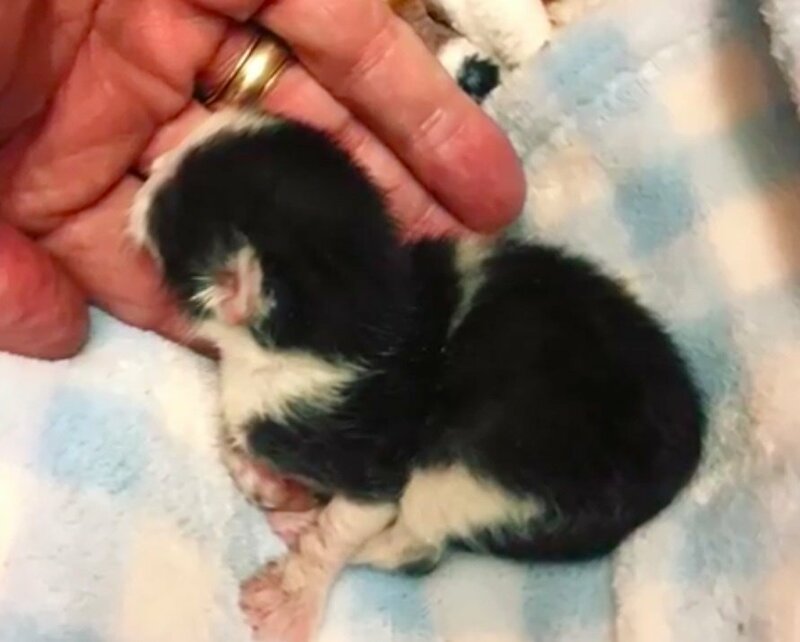 When he looked inside, he was stunned by what he discovered -- a tiny newborn kitten still with his umbilical cord attached. He didn't know how the kitten ended up there but he knew that he needed to get him help. 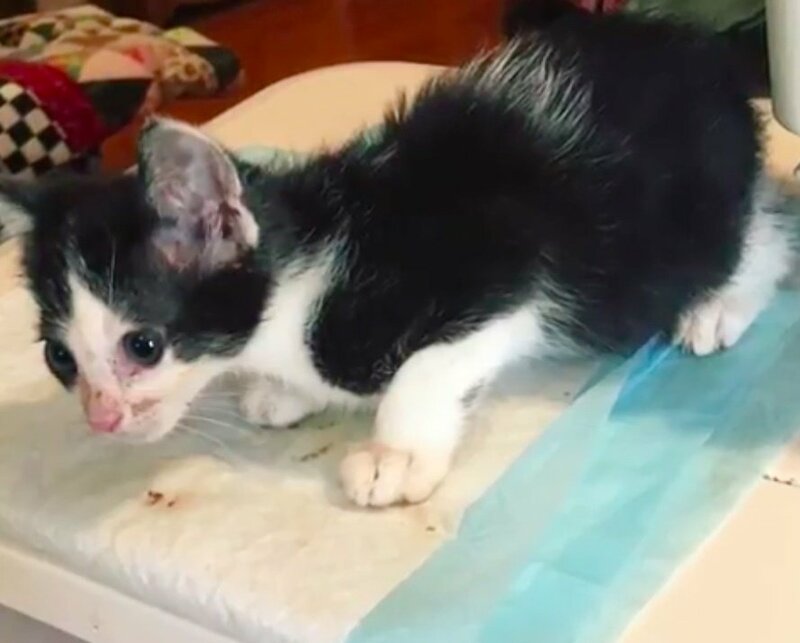 Michael immediately rushed the little one to the nearby El Cajon Animal Shelter, where the veterinarian treated the kitten and brought him back from the brink in the nick of time. The kitten was so young that he needed to be bottle fed. The shelter placed him in a foster home where a dedicated caretaker began round-the-clock feedings. Michael had the kitten in his mind the whole time while he was in foster care. 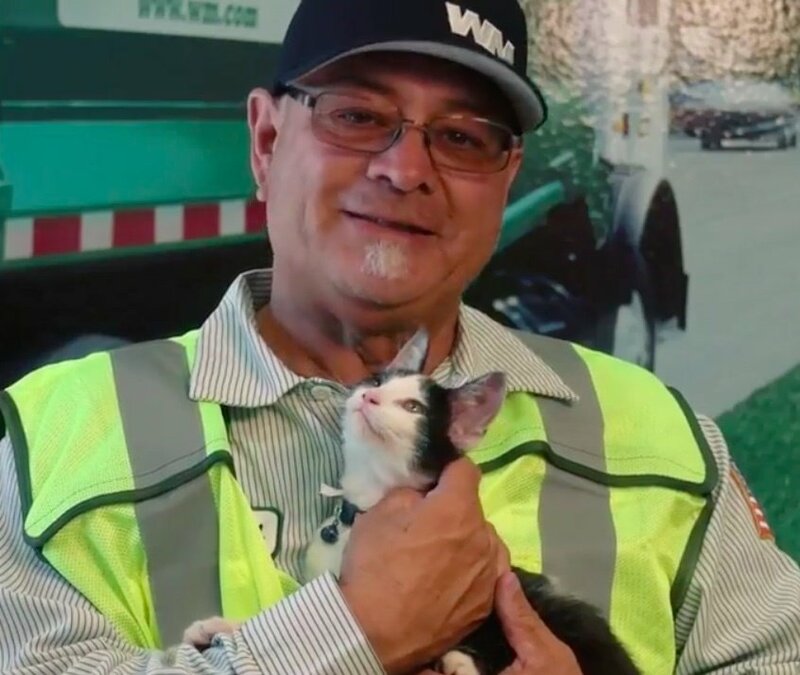 He wondered every day if the kitten was OK.
Then one day, the shelter came by the Waste Management facility and showed Michael a photo of the kitty. He was completely smitten. "The staff at the shelter made sure that I was given the first opportunity to adopt him, and I did," Michael said. 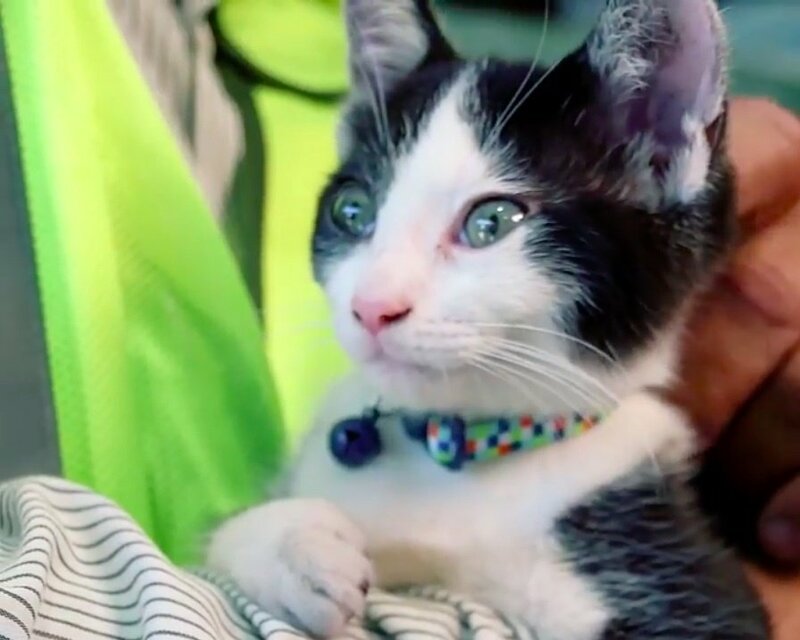 Once the little fur buddy reached a healthy weight, he went home with the person who had saved his life. Sweet William is now running around in his new home, bringing joy and lots of smiles to his forever humans. "I didn't know how long he was in my truck, and I don't know how many times that compactor plate went right by him," Michael added. "But I do know is that we were meant to cross paths."